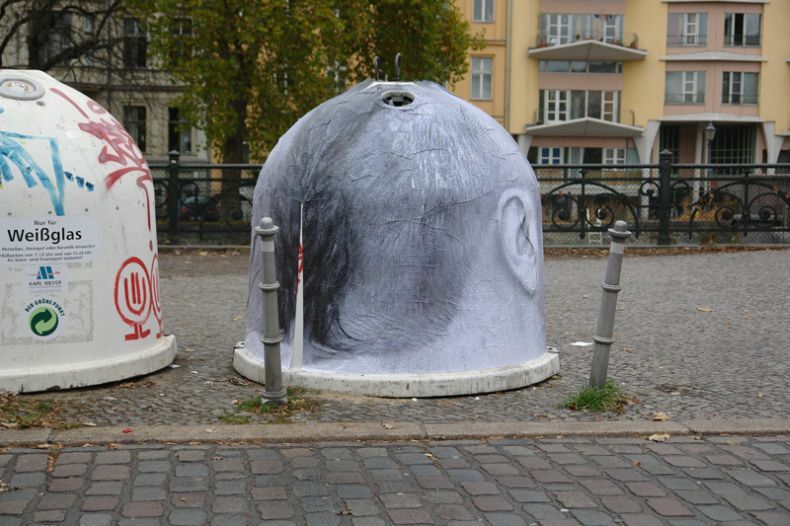 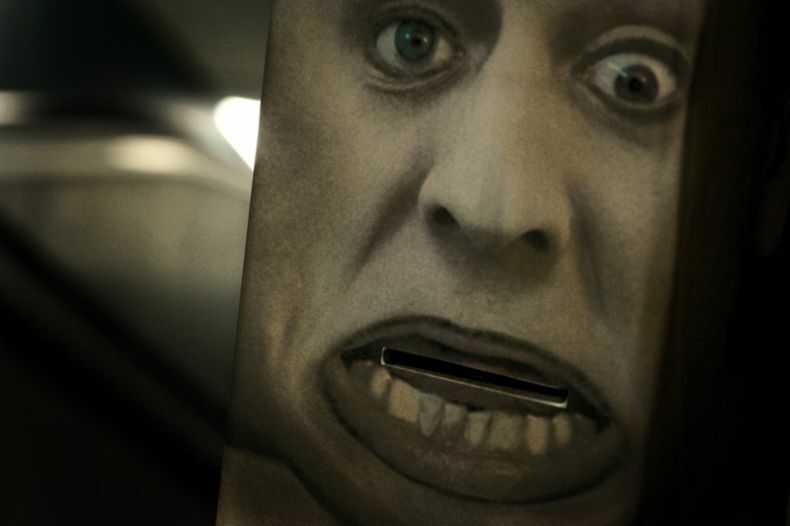 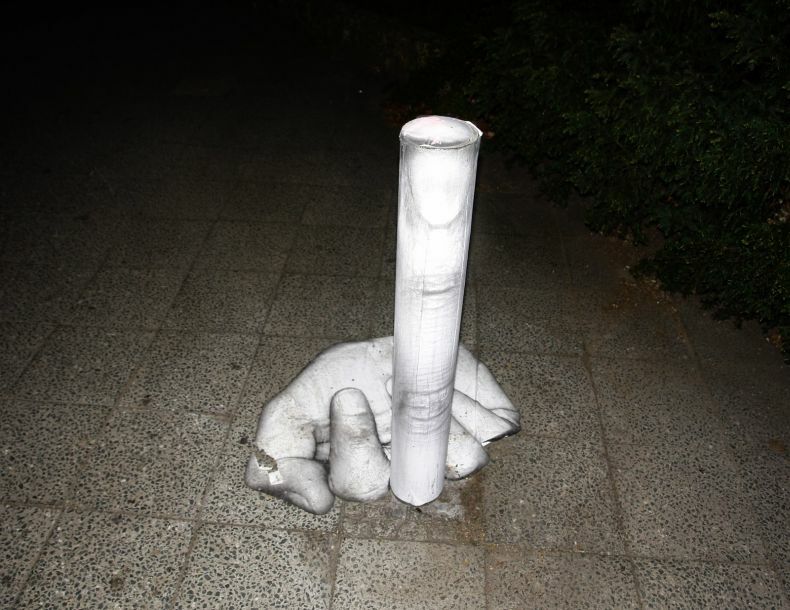 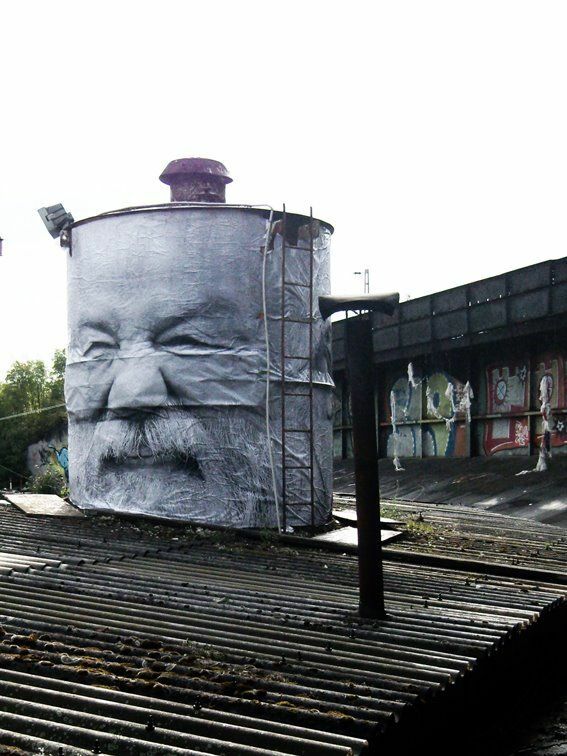 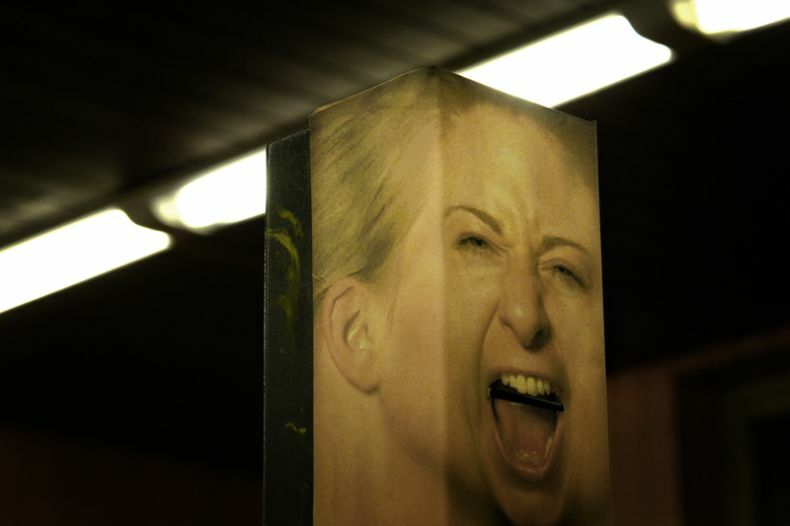 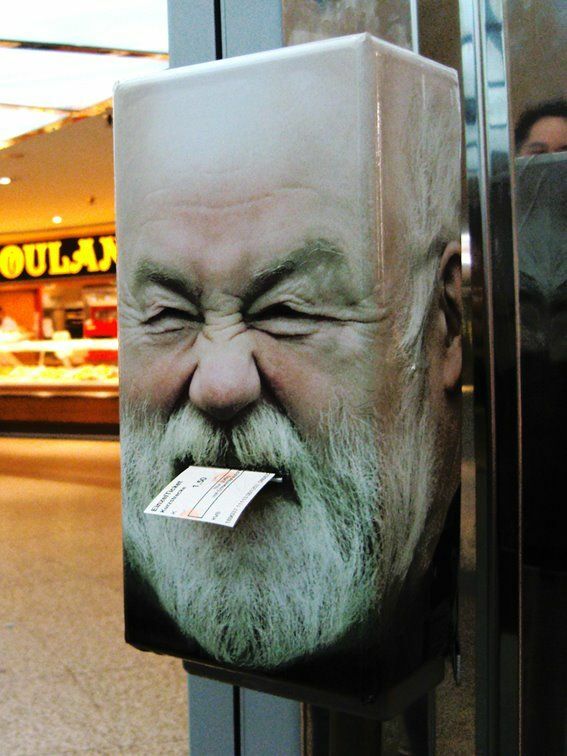 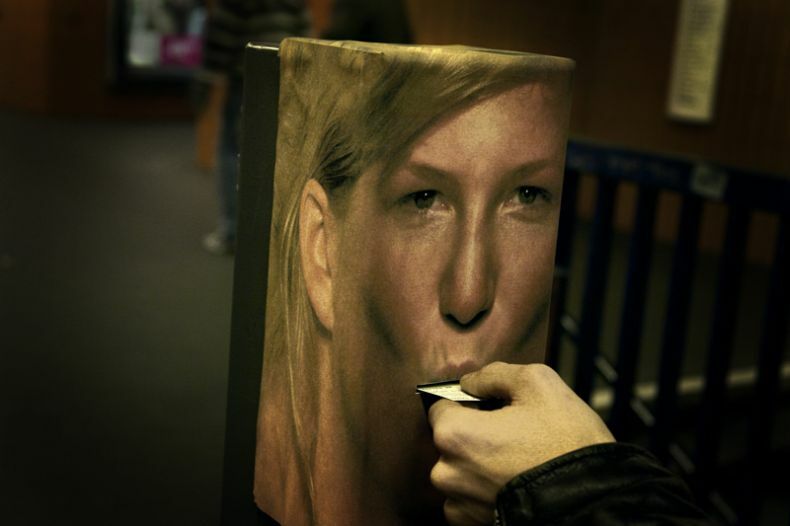 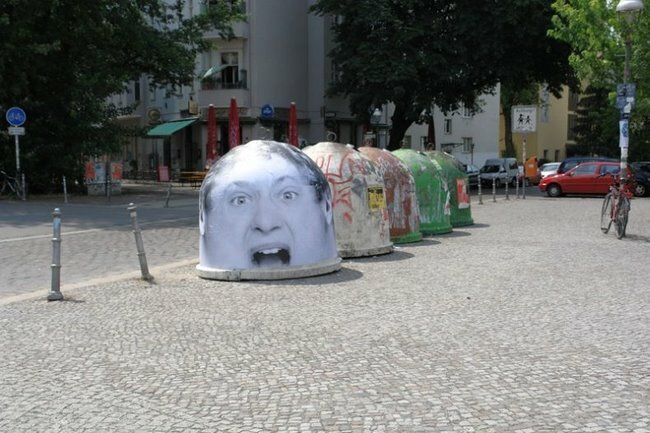 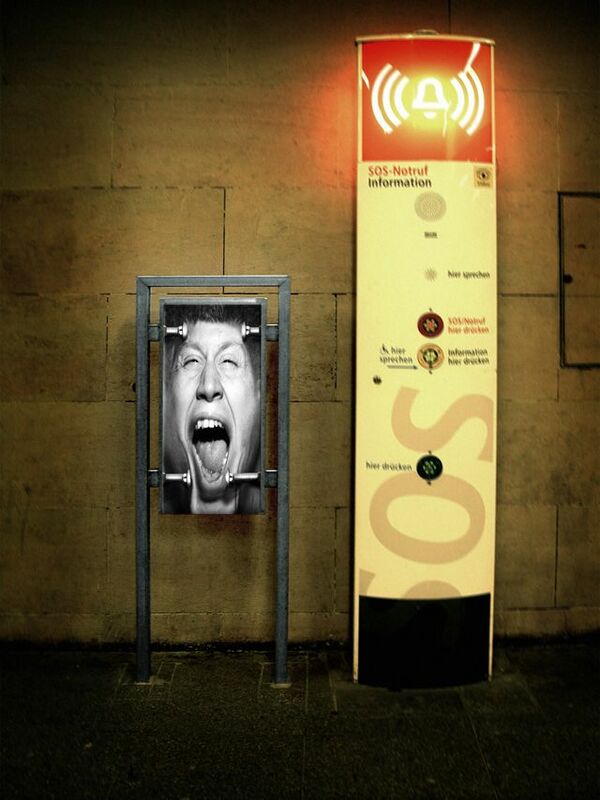 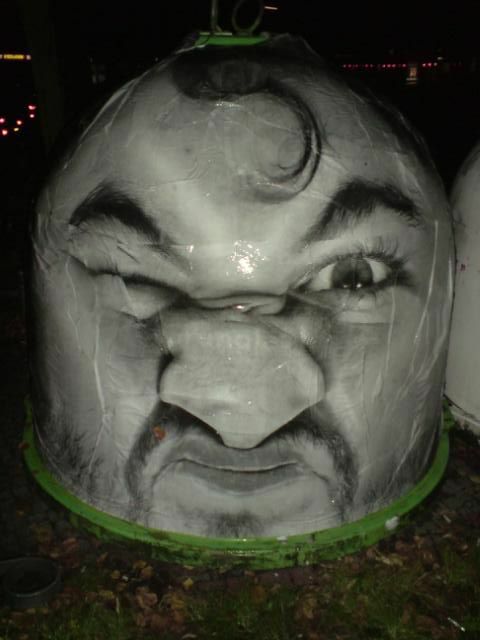 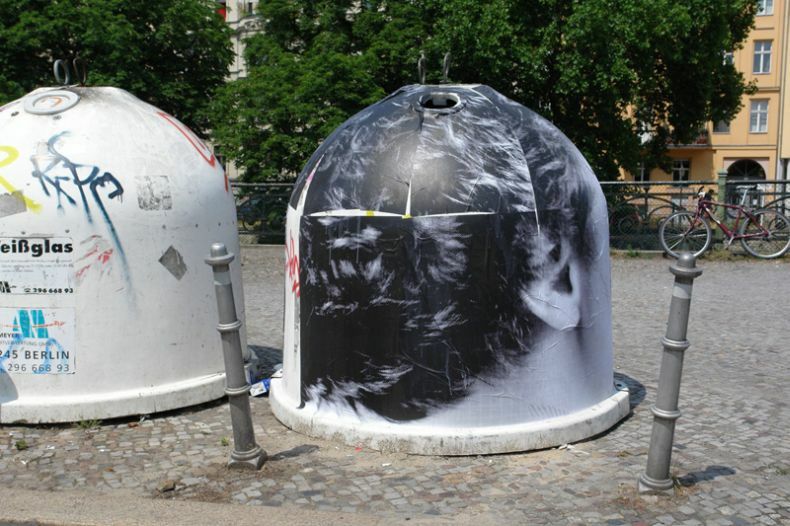 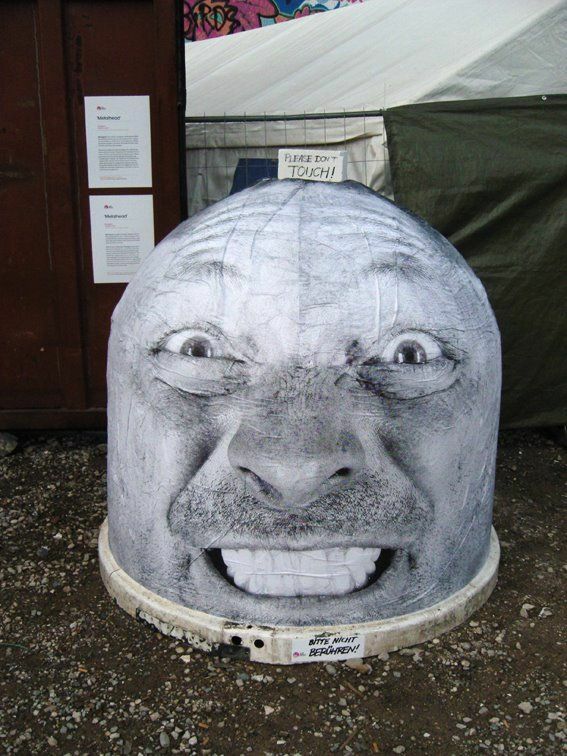 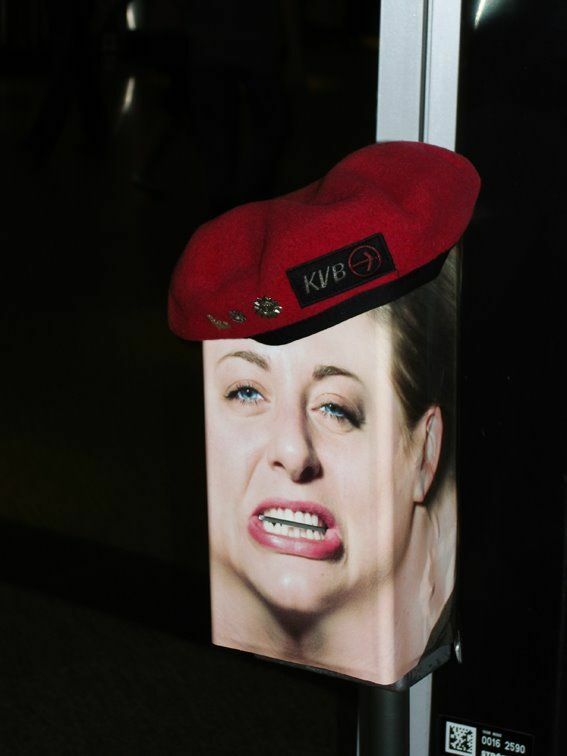 German urban art group Mentalgassi covers big glass-recycling containers on the streets of Berlin with something unusual: giant faces! 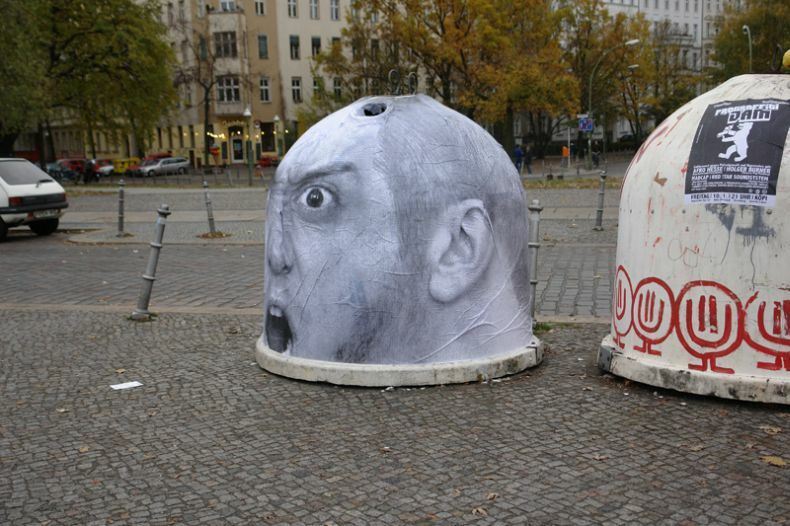 The results are weird "metal heads" that creepily stare at you as you walk by. 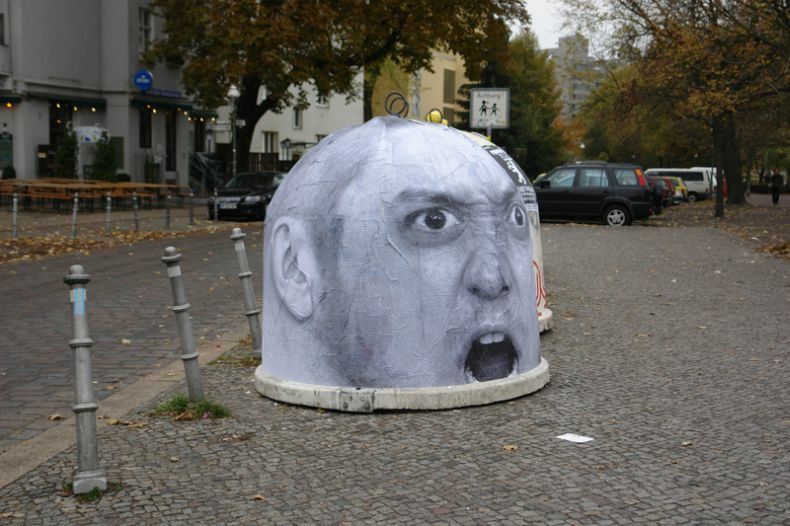 Woah how do they do that? 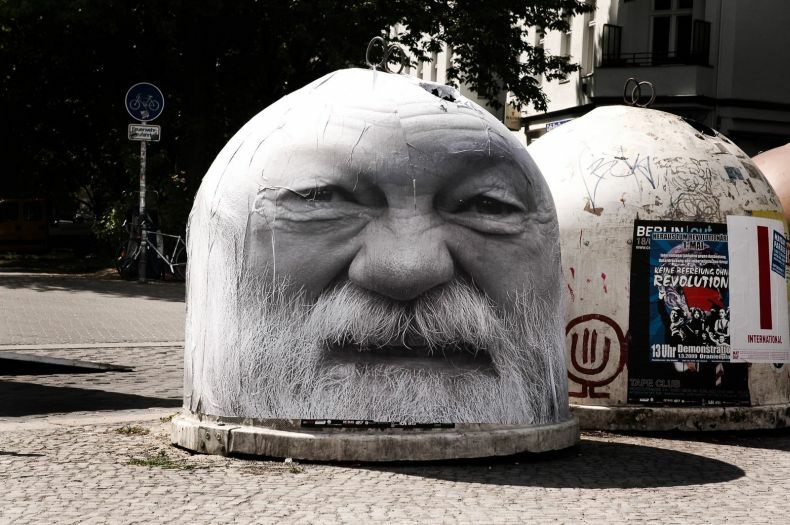 Love the-old-man face.